The Blyton Cemetery is on the west side of Sandbeck Lane on the north side of the village. The cemetery may be a 20th century construct. I could find no historic reference to it. The Blyton Cemetery is managed by the Burial Board of the Parish Council (see below). The parish was part of the Scotter sub-district in the Gainsborough Registration District. 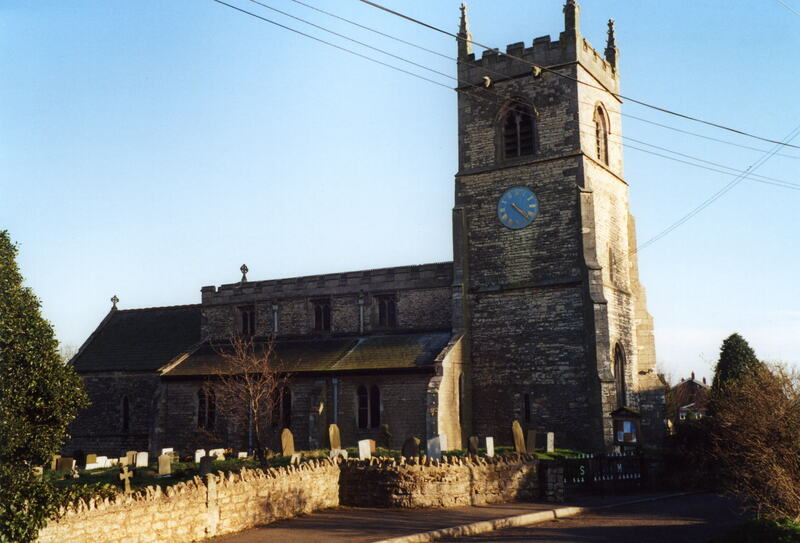 You can also perform a more selective search for churches in the Blyton area or see them printed on a map. The Anglican Church is dedicated to Saint Martin. The church is of early English architecture (11th century). The church chancel was rebuilt in 1877. The church nave was restored in 1880-81. The church tower was repaired and refitted in 1891-92. The church is Grade I listed with English Heritage. The church contains a brass plate memorial to two children of Sir John WRAY, 1613 and 1615. The church is presently part of the Corringham and Blyton Group of the Anglican Church. A photograph of the parish church is at the Wendy PARKINSON English Church Photographs site. J. HANNAN-BRIGGS has a photograph of the church interior on Geo-graph, taken in May, 2014. Parish register entries start in 1571. The North Lincolnshire Library holds a copy of the parish register entries for baptisms 1571-1812, burials 1571-1933 and marriages 1571-1812. The National Burial Index (NBI) for St. Martin lists 1,059 entries (1813-1900). The Wesleyan Methodists had a chapel built here in 1822. There was a Primitive Methodist chapel here in 1832 with a new one built in 1851 and operating after 1913. For information and assistance in researching these chapels, see our non-conformist religions page. The parish was in the Scotter sub-district in the Gainsborough Registration District. Blyton is both a village and a parish about four and a half miles north-east of Gainsborough and about 153 miles north of London. Laughton parish lies to the north and Pilham parish to the south-east. The parish covered about 4,700 acres in 1913. The parish once included the 250 acre farms of Redhill and Greenhill as extra-parochial lands, but these were formed into a separate civil parish between Blyton and East Stockwith by 1872. These farms were occupied by the BELTON family. The parish also includes the hamlets of Wharton and Carr (or Car). Wharton is one mile south-west of the village of Blyton. Carr was west of Blyton, near the River Trent. Although the railway line still exists, the station is closed for passenger services. Stop in a visit the two-hundred-and-fifty year old Black Horse Pub and Inn, at 93 High Street. Tele: 01427 628277. Rallycross car racing is popular on the local track. Make sure you are not visiting during one of the races, if you are looking for a quiet stay! Laughton Forest, just north of Blyton, is a popular spot for families and folks just wishing a shaded, quiet walk. Take the kids to Wharton Hall Farm Park to pet the animals. Ask for a calculation of the distance from Blyton to another place. You can see the administrative areas in which Blyton has been placed at times in the past. Select one to see a link to a map of that particular area. The railway came to Blyton about 1848, installing a station in the parish. It was part of the Great Central Railway. Roger GEACH has a photograph of the Black Horse Inn on Geo-graph, taken in January, 2012. In 1842, the chief landowner was the Earl of Scarborough, lord of the manor. Additional landowners were the INGRAM, HICKMAN, WILLIAMSON, COAPE and other families. In 1872, the chief landowner was the Earl of Scarborough, lord of the manor. Additional landowners were the HICKMAN, WILLIAMSON, OATES and other families. In 1882, the chief landowner was the Earl of Scarborough, lord of the manor. Additional landowners were the HICKMAN, SANDERS, OATES and other families. In 1900, the chief landowner was Sir Hickman Beckett BACON, baronet, of Thonock Hall, lord of the manor. In 1913, the chief landowners were Sir Hickman Beckett BACON, baronet, of Thonock Hall, lord of the manor, and J. D. SANDERS of Gainsborough. There is a mention of Wharton Hall in the old directories, but no description or history. Roger GEACH has a photograph of the Wam Memorial on Geo-graph, taken in January, 2012. The RAF opened an airfield here in November, 1942. It was just north-east of town. 199 Squadron, a heavy bomber unit, was initially stationed here. The RAF abandoned the field in 1954. The B1205 roadway skims the southern border and the A159 runs through the western edge of the old airfield. Click here for a picture of the old Blyton Airfield Control Tower. For a photograph of the Blyton War Memorial and the names inscribed on it, see the Roll of Honour site. The name appears to be from a combination of Old Scandinavian and Old English Bligr+ton, meaning "farmstead of a man called Bligr". It appeared in the 1086 Domesday Book as Blitone. The AUDASSE family lived here in the late 1600s. If was about that time that the spelling was changed to AUDAS. Kelly's 1900 Directory lists the following: parish clerk, Thomas NICHOLSON; sub-postmaster, Arthur MAJOR; station master, Robert FOWLER. Kelly's 1913 Directory lists the following: parish clerk, Thomas NICHOLSON; sub-postmaster, Walter SELBY; station master, William ANDREWS. 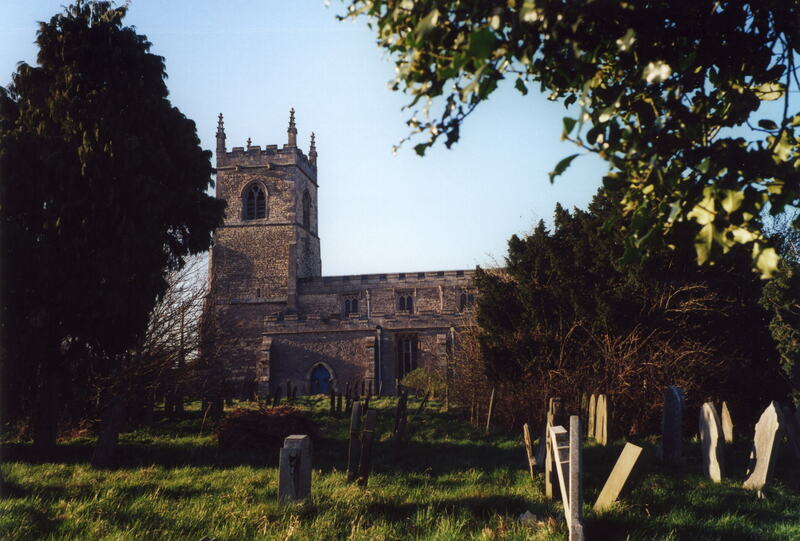 For ecclesiastical purposes, the parish was also within the Soke of Kirton in Lindsey. In March of 1886, a detached portion of Pilham parish, known as Pilham Carr, was transferred to Blyton. Some records refer to it simply as Carr. You may contact the local Parish Council concerning civic or political issues, but they are NOT staffed to assist you with family history searches. In 1720, a person named ALLANBY left the poor the interest from £12. As a result of the 1834 Poor Law Amendment Act, the parish became part of the Gainsborough Poor Law Union. In 1819, John MILNS created a fund for educational purposes. The funds were initially used to build Blyton School in 1826 on land purchased from Colonel Henry COAPE. In 1913, the fund was generating £18 yearly. In 1842, a Girls' School was built by subscription. A Public Elementary School was built here in 1881 and enlarged in 1895. It currently holds about 87 students. Address: Blyton Church of England Primary School, High Street, Blyton, Gainsborough, Lincolnshire, DN21 3JX, Tele: 01427 628342.